Gutters are an important part of any building’s weatherproofing system. If unchecked blocked gutters can cause severer damage to a property due to flooding caused by heavy rain. 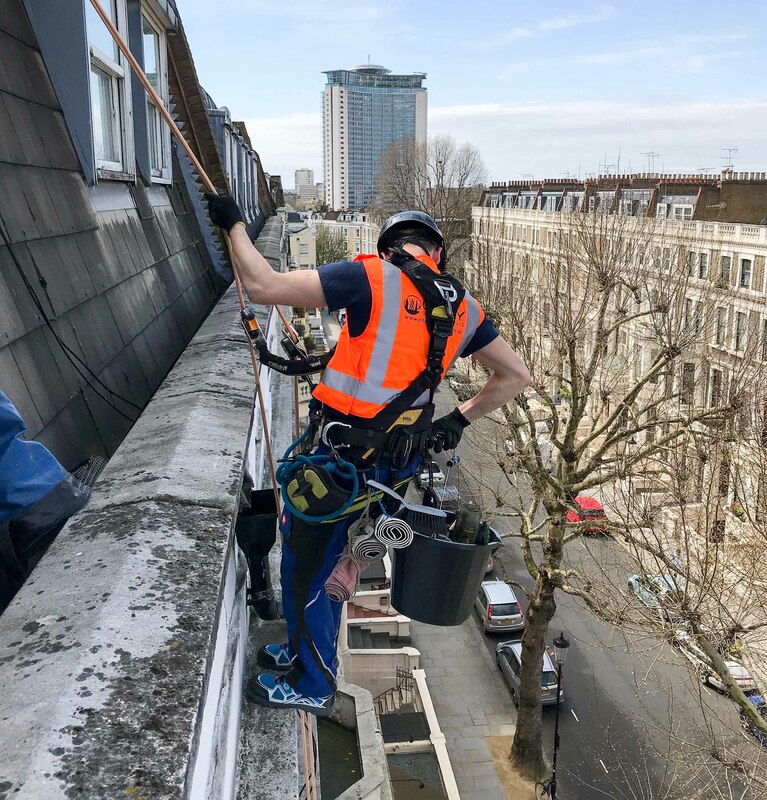 Using rope access techniques , our highly trained and experienced teams can clean, inspect, service and repair all gutters on domestic, commercial and industrial property no matter the height of the building. Regular gutter cleaning contracts prevents damage to properties and allow regular inspection of roof tops and surrounding areas ,allowing repairs to be carried out before they cause water ingress. With our affordable rates , you can put us on a maintenance schedule so that the gutters are cleaned on regular basis and you never have to worry about problems ever again.